Making the decision to sell your car may have been an easy one, or it may have taken careful consideration over a long period of time. Either way, you have resolved that selling your car is the best choice for your current situation. Whether you plan to use the cash you make on your old car towards the purchase of a new one, or you plan to hold onto the cash for something else entirely, you definitely want it gone. Without having to shout from your rooftop, “Sell my car fast!”, we have come up with a list that can help you quietly accomplish the quick selling of your vehicle, for the most amount of money possible. There are a lot of different ways you can go about selling your car. You can trade your car in for another vehicle at a dealership like McCluskey, swap it out for cold hard cash at the same dealership, or even go the route of selling it privately. While the last option isn’t the best if you need to get rid of your current car quickly, it is still at least a possible route you can take. After we talk about the ten ways to increase the resale value of your car, we will discuss in more detail your different selling options. 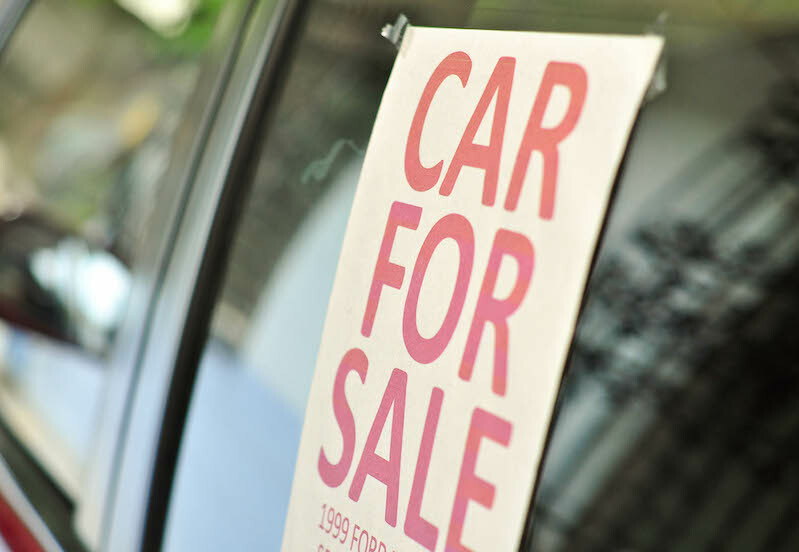 Before you post your car online or stick it on a street corner with a “For Sale” sign in the window, check out these ten tips to maximize your car’s value when it comes time to sell it. This is a cheap and easy fix. A quick visit to your local automotive shop and a screwdriver will add a great deal of value to your car if selling it to an individual. If your car’s windshield is cracked or chipped, get it fixed before selling it. A private buyer will assume the worst to replace a windshield, when in reality it can usually be done for under $100. Check the tread on your vehicle’s tires. If it is uneven or worn, you can consider replacing them. If your car is not worth a ton of money, this is a step you will probably want to skip. However, if your car has a resale value above $5,000, spending a few hundred dollars for new tires will certainly increase the amount of money a person is willing to pay. A car with noticeably worn brakes can end up fetching at least $200 less when you go to sell it. This is another fix recommended for a vehicle that is worth more money, and can be skipped if you are only expected to get a few thousand dollars when you sell it. A used car with more than a few dents and dings can send up red warning flags to potential buyers. While these dents may be small and unassuming, buyers will look at them and assume the vehicle has not been properly cared for. Hiring a dent removal expert can be of minimal cost to you, and end up fetching you much more money when you finally do sell it. 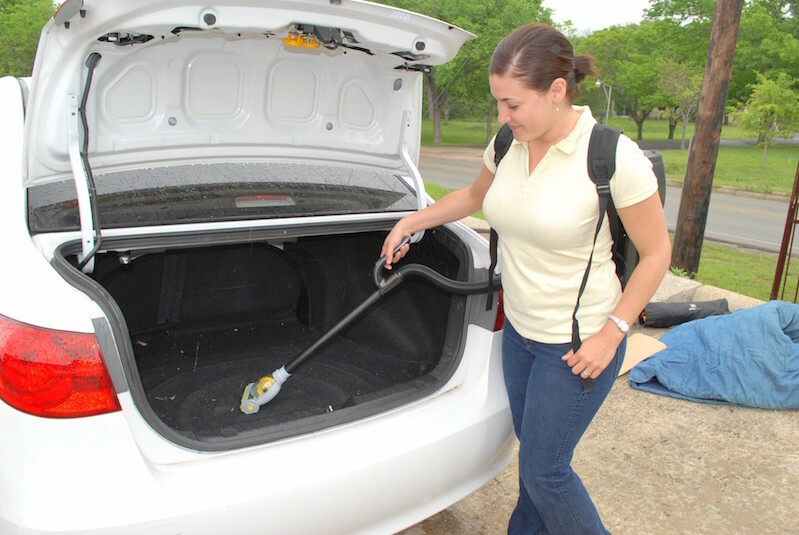 You can get your car thoroughly cleaned and detailed without breaking the bank. Local car washes often have specials and coupons, allowing your car to get looking its very best, without spending a ton of money. Having a car that is clean will attract more buyers, and will add value to your vehicle’s final sale price. Before you fix any issues on your car, or even get it cleaned, find out what it’s worth. Prior to selling your vehicle, be sure you know what it is actually worth. Online sources like Kelley Blue Book can give you a fair market value for your car, that can be fairly accurate when filled out honestly. If your vehicle is still under the manufacturer’s warranty, you can typically charge more on top of your car’s value, but only if that warranty is transferable between owners. If you need to sell your car quickly, then pricing it right at, or just below what it’s worth will give you the most eager buyers. If you price your vehicle above what it is worth, you will have a harder time getting prospective buyers interested. You need to find a dollar amount you are comfortable with, but that is also reasonable. People tend to think their possessions are more valuable than they actually are, which can end up hurting your chances for a quick sale. The truth of the matter is, you will get more money for your vehicle if you sell it yourself. On the downside, this added cash comes at a cost. You will end up having to do some grunt work. Aside from ensuring your vehicle is in great condition to present to a potential buyer, you will also need to market it, meet up with people interested in it, and assume all of the risks that come along with completing such a large sale. Figuring out what type of payment you will accept, typing up a bill of sale for you and the buyer to sign, and making sure that you have all of your paperwork in order, can be a full time job in and of itself. On the flip side, you can bring your vehicle to a reputable dealership like McCluskey Automotive. We may not be able to offer you the same dollar amount you would get if you sold it to a private buyer, but we can take away all of the stress that goes along with selling privately. No marketing, no waiting, and no scrubbing your car down to try and get buyers interested. You simply bring your car to McCluskey, and we will offer you cash on the spot for your vehicle. Cash in hand means no pesky checks to cash, and no pressure to buy another vehicle from us. McCluskey Automotive affords you complete confidence and ease when it comes to selling your car for cash. Our certified team will assess your vehicle, and offer you a fair price that you can either accept, or decline. Our feelings won’t be hurt if you decide not to sell to us, and we will welcome you back if you ever change your mind. McCluskey Automotive will buy your used car, regardless of what condition it is in. If you have a vehicle that some may consider a junker, we will happily take a look and offer you cash to take it off your hands. With no commitments to get an estimate for your car, why not come in and see us today? We are located at 9673 Kings Automall Drive in Cincinnati, Ohio. Give us the chance to buy your ride, completely hassle free. If you need cash in hand today, and don’t want to wait for a potential buyer to come along, then come down to McCluskey Chevrolet, today!